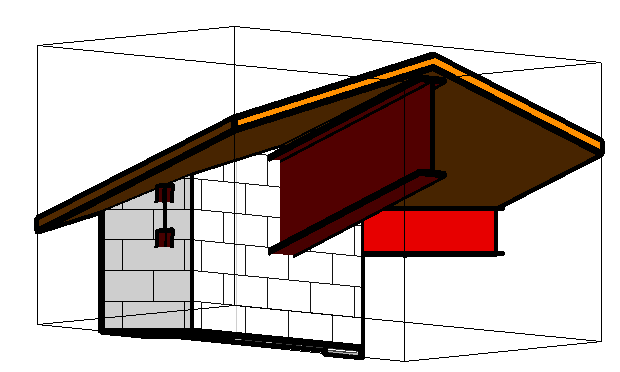 This post is definitely back-to-basics, but considering how much of Revit’s value is in its 3D capabilities, I thought I’d share a few of the tips I’ve picked up lately for navigating in the third dimension. If you hold down the Shift key and middle mouse button, you can move the mouse to orbit around your 3D model. However, the default orbit pivot is probably not exactly where you’d like it to be. In this case, if I’ve zoomed in on a corner of my building. When I try to orbit around the corner, it rapidly disappears from view. So instead, I’ll select an object near where I’d like my pivot point to be. Then when I use Shift-middle-pan, the view stays centered on my object. 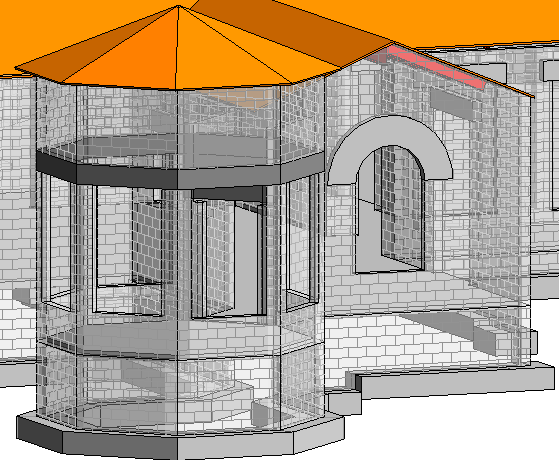 This is possibly my favorite use of 3D views. 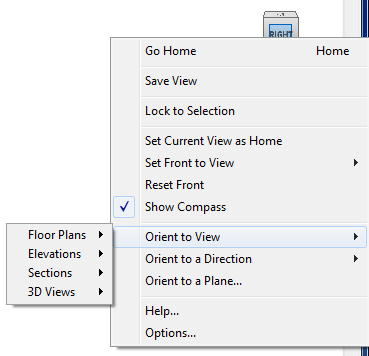 If you right-click on the View Cube in a 3D view, one of the options is “Orient to View”. You can pick one of your existing floor plans, elevations, or sections (or 3D views, although that one seems a little silly to me) and instantly get a cropped, 3D view of that 2D area. You will probably need to orbit around it for the full 3D effect (possibly using tip #1), but it’s a great way to quickly clear your view of unnecessary geometry. 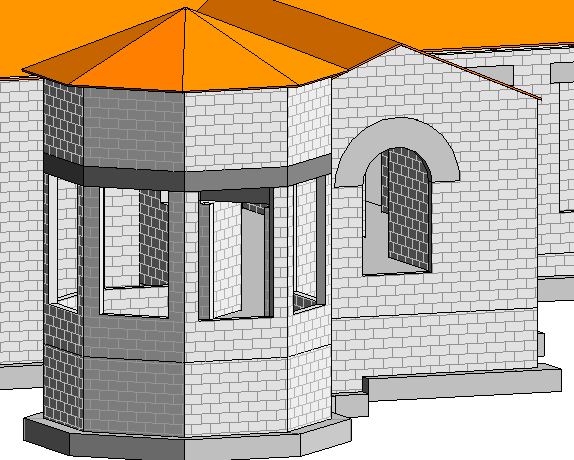 Right now I’m mostly using this in working views, tracking down columns and floors and such, but I think it won’t be too much longer before these kinds of 3D sections are common sights in our design documents. Below are images with walls at 0% and 50% transparency — it’d be clearer if it weren’t a CMU building (or if I turned the edges off), but you get the idea. I should point out that in 2012 and earlier, the Visibility Graphics dialog had two checkboxes for “Ghost Surfaces” and “Transparent”. In 2013, these have been merged into a single “Transparency” slider in the “Projection/Surface” category.